Honor, goodness and harmony are the hallmarks of the Camelot legend. You’ll discover those same virtues in every bottle of Camelot, noble vintner of award-winning wines since 1993. 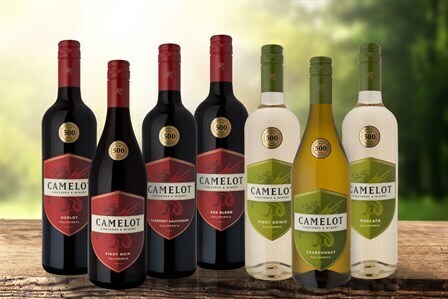 Produced from carefully selected grapes grown in California’s finest winegrowing regions, Camelot brings out the best in food, friends and everyday occasions. © 2018 Camelot Wines, Parlier, CA. All Rights Reserved.